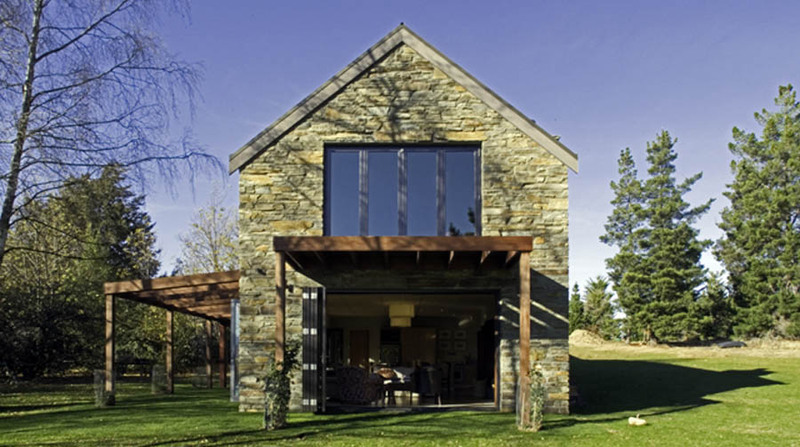 Inspired by simple rural stone buildings in Otago, this family home is sited to maximise sun and views to the lake. It is a high-performing house which uses passive solar design and a high level of insulation to ensure energy efficiency and comfort. 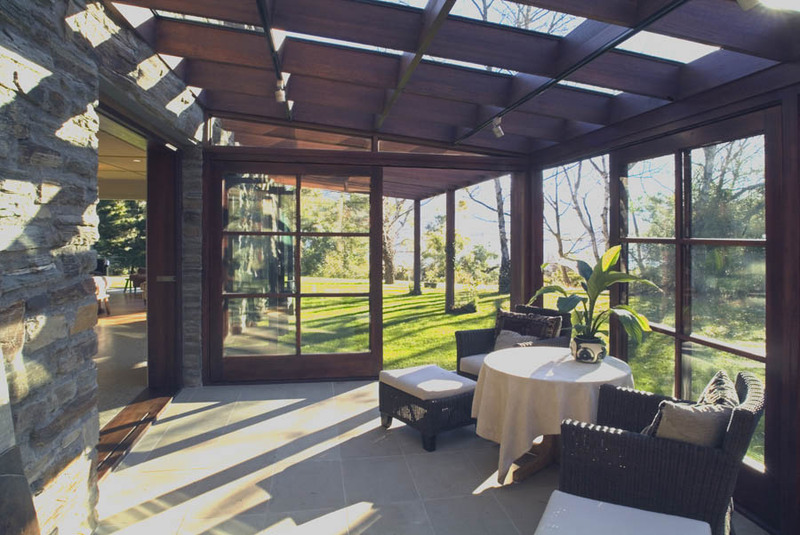 Existing deciduous trees provide shade in summer and a sun room provides shelter from prevailing winds and collects heat to distribute to the rest of the house during Autumn and Spring. The narrow plan suits the long narrow site and ensures good daylighting and cross ventilation to all spaces. 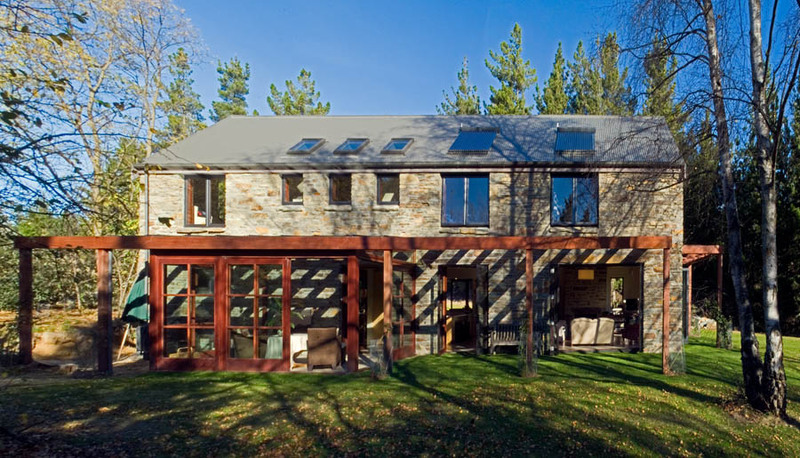 The spacious main living area opens on three sides, connecting the house to the site and allowing the room to expand outside in the summer. Natural materials have been selected for low maintenance, appearance, and durability. The house is independent for water supply and waste treatment and has solar panels to supply hot water. While the house is simple and traditional in form to fit with its context and the preferences of the family, it is also energy efficient, low maintenance, comfortable and designed to perform well in use over its life.